Is there a more challenging transition for a man than to become a new single dad with children at home? Whether you lose your spouse and the mother of your kids to death or because of a divorce and/or abandonment, adjusting to the new reality of things is a major and life-changing task. Many newly single dads struggle to know where to start. What should be first on your list, and how do you even begin to get your arms around the rest? As adults, we have at least learned some coping mechanisms in our lives to deal with change. Often, our children are totally unprepared for having a single dad as their primary caregiver. So as you help your children adjust, consider these suggestions. 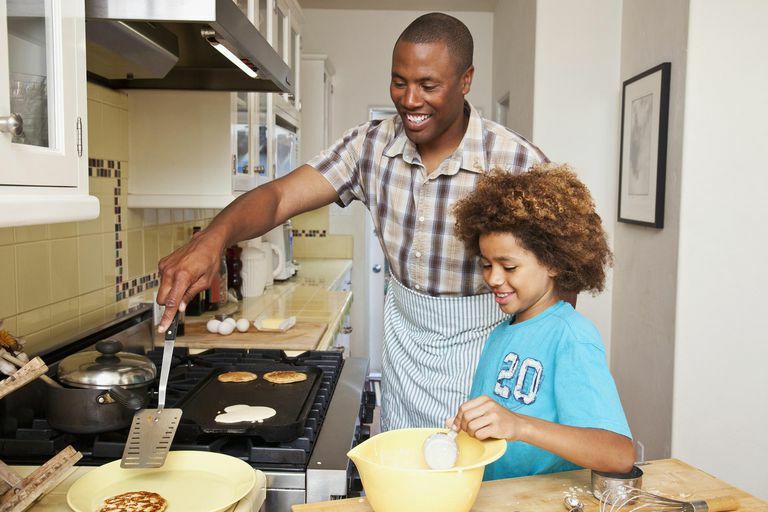 One of the biggest challenges newly single dads tell me about is the need to establish new routines when the other adult at home is not there anymore. From finding ways to grocery shop and meal plan more efficiently to keeping chores at home straight, there is a lot of organizing to do and not as much help doing it. Many dads are intimidated by the idea of having to raise a daughter without a mother in the home. It is a challenge to be sure, but certainly doable when you focus on her specific needs, help her find good female role models and express love in ways she can receive it. Single fatherhood is a difficult transition to be sure, but becoming a single father as a result of the death of your spouse is emotionally charged and has a significant series of challenges that we could never have anticipated. Dealing with your own grief and loss while helping your children through theirs is not easy, and sometimes the impacts of it all are debilitating. Learn how other widowed fathers have handled the transition and what you can do to help your own kids and yourself deal with the loss of your wife and their mom. Which household chore do you dislike the most? For some, sweeping and mopping the kitchen floor is the toughest because it only looks good for a day and then all you notice is how bad it looks. Other dads hate cleaning bathrooms, cleaning out the refrigerator or getting hard water stains off the windows. These hacks for commonly hated household chores can help you tackle the jobs you dislike and get them done more quickly and efficiently. When you think you are ready to get back in the dating scene, you quickly realize that it is not the same world it was when you were dating the last time. Add to that the fact that single dads have some advantages and disadvantages in the dating world, and the process gets complicated. Check out a few morsels of advice from other single dads about how to handle dating as a man with kids.